Kenyans were yesterday shocked after Safaricom CEO declared his wealth. Nairobigossips.com was on time to reveal the news after it was officially posted at the Safaricom official website. 1. 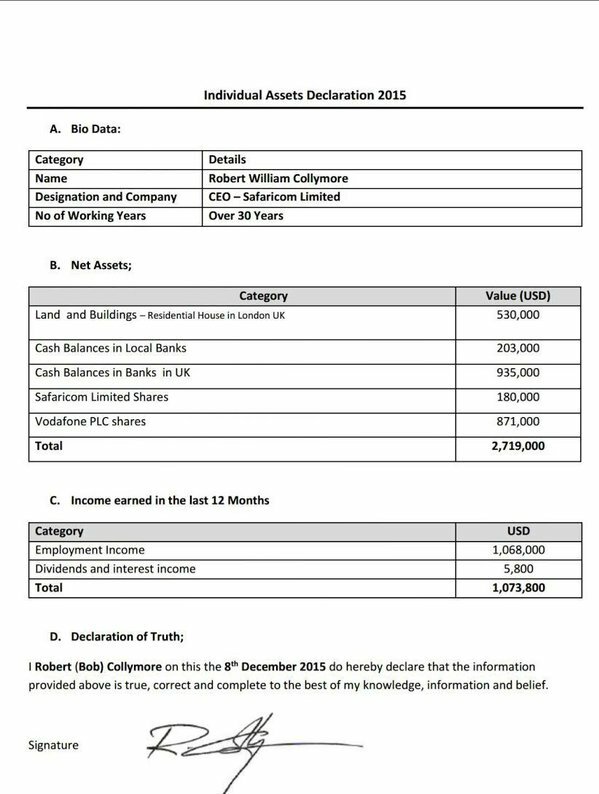 Bob Collymore’s full name is Robert William Collymore. 2. He is originally from Guyana, a country in South America. 3. He went to school in Guyana but at the age of 16 moved to the UK with his family. 4. He started earning money when he was 12-years-old by selling art pieces from plasticine moulds. 5. 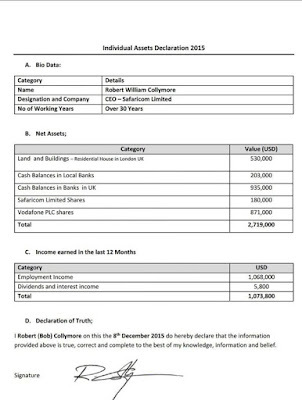 Collymore’s first real job was as an office boy when he was 16-years-old. 6. 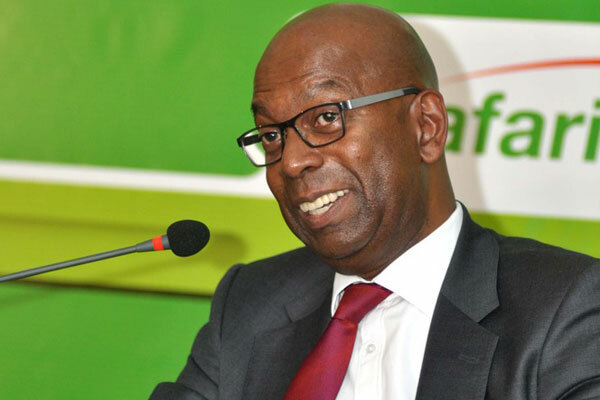 The Safaricom Boss wakes up at 5.15am everyday. 7. During his early years, Collymore wanted to be a painter and he says he would still want to be one. 8. He does not like Kenyan food but rather prefers Chinese and Indian foods. 9. He is 57 years old and a father of two children. A Son, 21 years old who schools in the UK, and an adopted daughter, 7 years. 10. Bob enjoys flying helicopters. He spends upwards of Sh35,000 an hour hiring a chopper. In an interview some years back, he said that’s how most of his money is spent.